A materials recovery facility, otherwise known as a reclamation facility, recycling center or Multi re-use facility is also known by it’s acronym MRF, pronounced “murf”. A MRF is a specialized facility that receives, sorts, cleans, and organizes recyclable and reusable materials for reuse by manufacturers, construction crews, and government contracts. There are two different types of MRFs: clean and dirty. A clean material recovery facility generally handles recyclable commingled materials. These reusable materials are separated at the source. This means that if the material is generated from a home it is separated at the home. Clean MRF’s get most of their recyclable waste materials from residential buildings and commercial sources. Dirty MRFs take in a mix of solid waste and then separate it by hand and with machines. The goal is to separate out any recyclable material worth salvaging. This recycling process is not the end result before the materials reach market. Generally, materials are further processed before they can be used in manufacturing or construction. Any material that cannot be recovered at this facility are sent to a specialized facility for further recycling or a landfill. Now our waste reaches landfills without precious materials like stone, aluminum, cardboard, paper, glass, or plastic. Check out more information about recycling centers on Twitter, Facebook, or Google+. Click here if you want to learn how Westside Environmental is helping New Jersey construction crews go green. 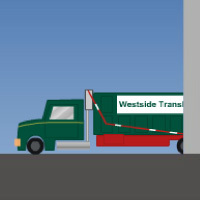 Tweet us at @WestsideEnviro. This entry was posted in construction, Construction Waste Management, Going Green, LEED, recycling, Stone Sales and tagged aggregate sales, construction, go green, going green, recycle, Recycled aggregate, recycling, stone sales. Bookmark the permalink.